Overview: Vista is the first new offering from Carnival since 2012 and to make up for lost time, they packed it full of new innovations to complement an already impressive list of popular attractions. 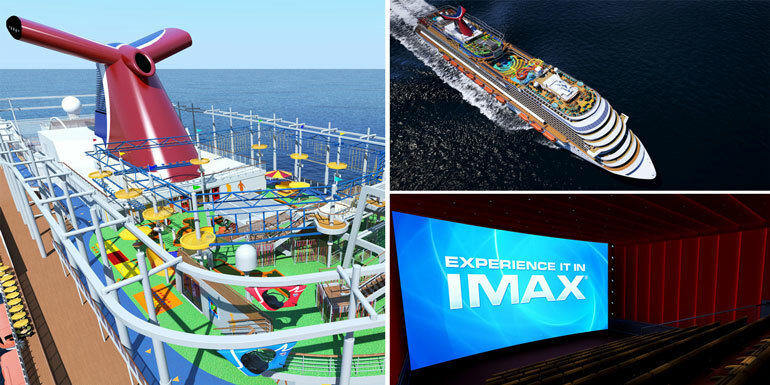 First IMAX theater at sea. Families-only cabin zone with exclusive lounge. First cruise ship brewery at RedFrog Pub. SkyRide, a suspended ride along an open-air track. Overview: Harmony of the Seas is now officially the largest ship in the world at 227,700 gt, narrowly beating out its sister ships Allure and Oasis. 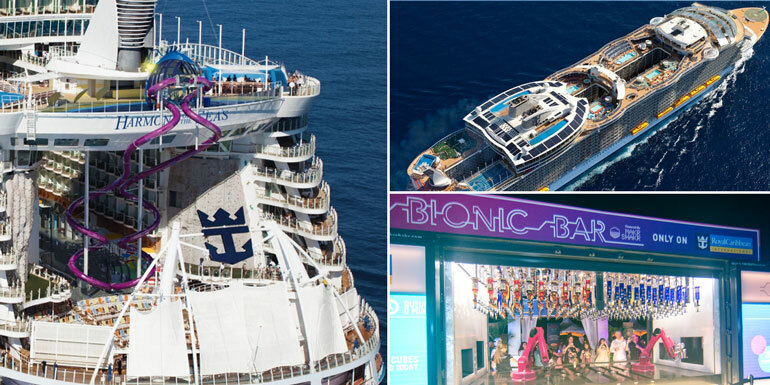 Harmony still has the neighborhood concept, but it also incorporates some advancements from the new Quantum-class ships like the Bionic Bar and high-speed internet, plus a series of brand new water slides. New water slides The Perfect Storm and Ultimate Abyss (the tallest slide at sea). DreamWorks Experience with characters from Shrek and Kung Fu Panda. Flexible dining with plenty of options like Chops Grille, Sabor Modern Mexican, and Izumi Hibachi & Sushi. Itineraries: Caribbean, Western Europe, and Western Mediterranean. 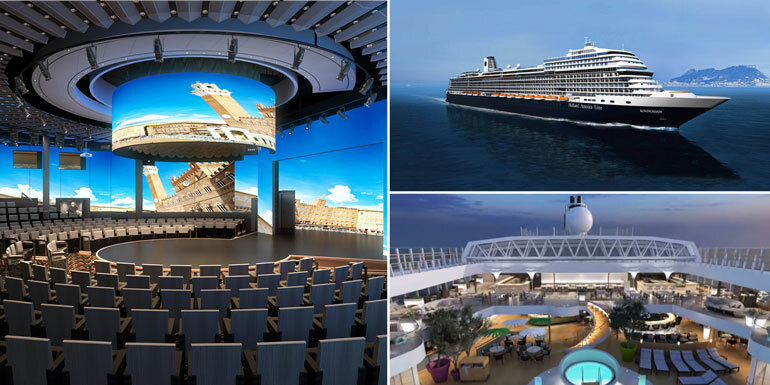 Overview: The first thing guests will likely notice about Koningsdam is the musically-inspired decor designed by famous hospitality designer Adam D. Tihany. The new innovations are not just superficial, however, as Holland America has also added new culinary establishments and cabins for solo travellers. Culinary Arts Center inspired by farm-to-table restaurants. Oceanview cabins for solo travelers. Mix your own wine at Blend. World Stage, a round theater that mixes a classic design with a massive LED screen, and Lincoln Center Stage, a showcase for classical music. 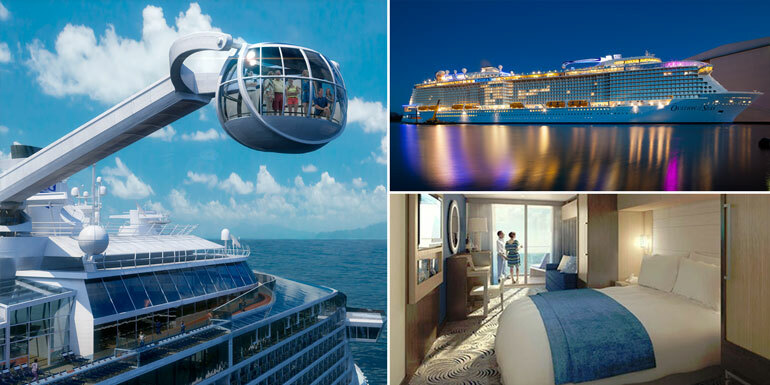 Itineraries: Mediterranean, Baltic, and Caribbean. 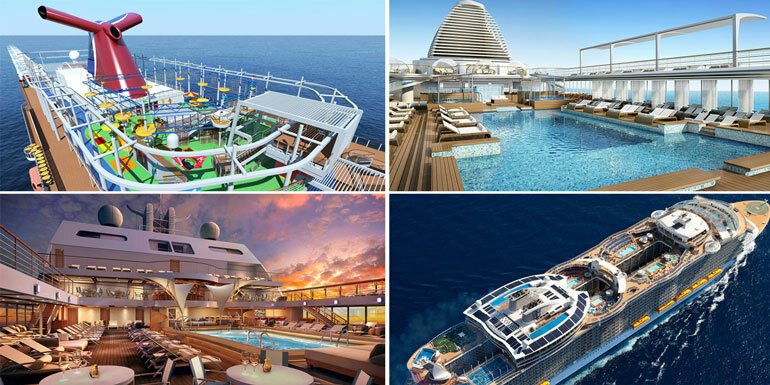 Overview: While the mainstream lines compete to make their fares more affordable, Regent Seven Seas went in the exact opposite direction with Explorer and set out to make the most luxurious cruise ship ever. Every cabin is a suite. Gourmet Explorer food and wine tours. All-inclusive fares come with airfare, dining, drinks, gratuities and excursions. Overview: Fans of river cruises that avoid ocean-going vessels because of their overwhelming size now have the perfect option in Viking Sea and Viking Star (launched in 2015). 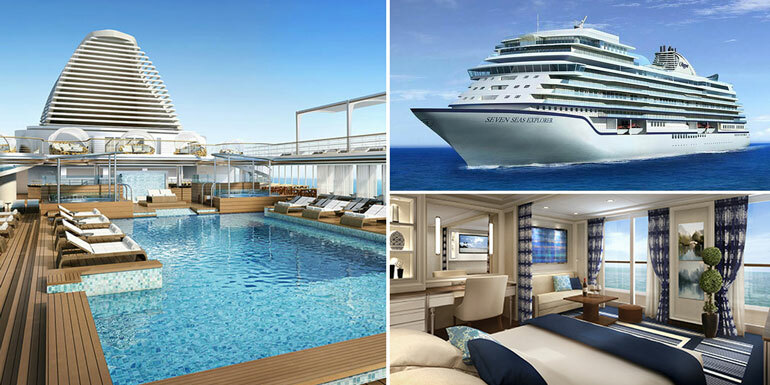 The intimate design is reminiscent of their river ships, and while significantly larger than the river fleet, Viking Sea is still only a fraction of the size of a typical mainstream ship. Fan favorites from Viking's river ships like Aquavit Terrace and Wintergarden. Large, luxurious cabins with private balconies. A true infinity pool in the ship’s stern. WiFi, laundry, beer, and wine included. Itineraries: Mediterranean, Northern Europe, and Baltic. 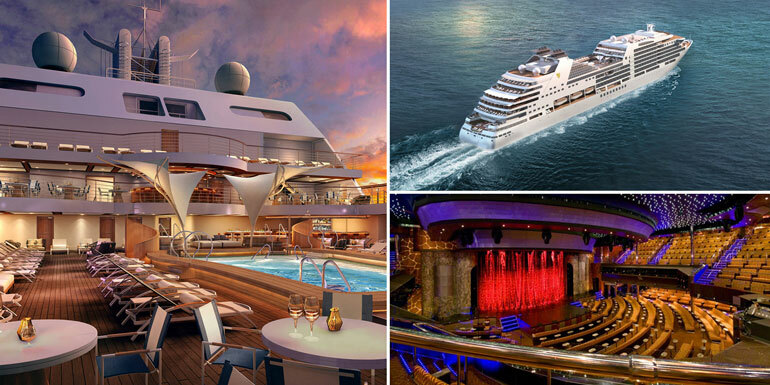 Overview: Seabourn’s largest ship yet, Encore is about 26% larger than the Odyssey-class ships. The extra space has been used to accommodate 150 more passengers, as well as an additional deck and expanded public areas. Signature restaurant created in a partnership with famous chef Thomas Keller. Marina deck for windsurfing and kayaking. Performances and lectures in the Grand Salon. Itineraries: Middle East and Asia. 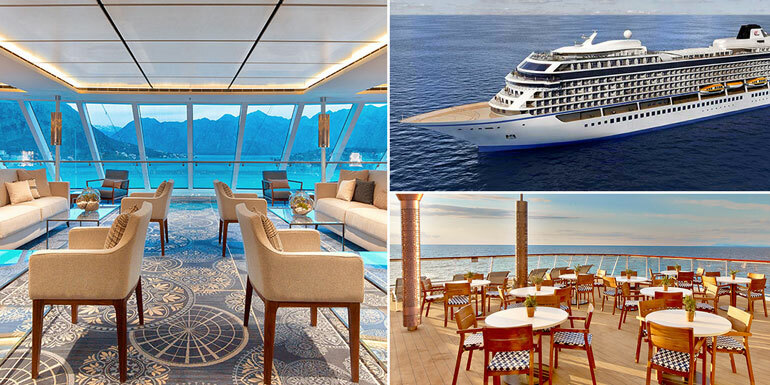 Overview: The third Quantum-class ship in as many years, Ovation continues the emphasis on cutting-edge technology with the fastest WiFi at sea and virtual balconies. Like it’s sister ship, Quantum, Ovation will be stationed in Tianjin, China to meet the demand of the growing Asian market. Bumper cars, basketball, roller skating and more at SeaPlex, the largest indoor activity space at sea. Two70 Lounge with nighttime aerial entertainment. Itineraries: Asia, and Australia/New Zealand. What new ships are you most excited for?